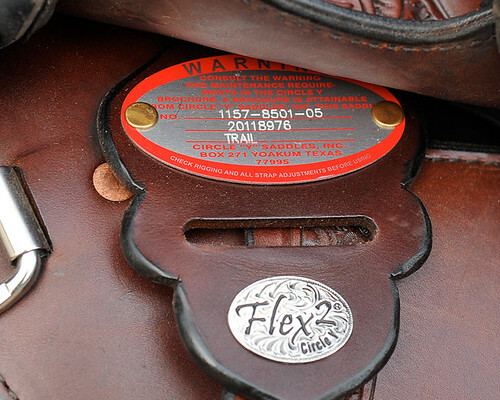 You can contact me through www.rockandracehorses.com about any of these saddles. Asking $900 (negotiable) plus shipping for the Smith-Worthington. 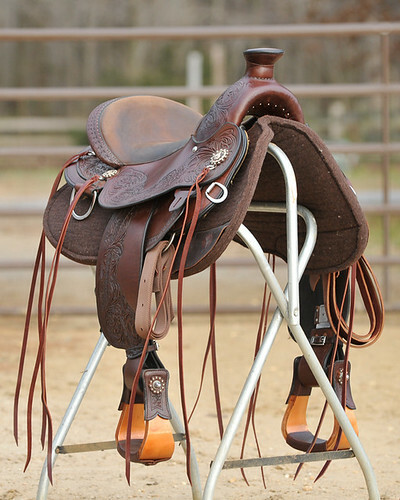 This is an English-made saddle with a very comfortable seat and EXCELLENT withers clearance for high-withered horses. 18″ seat and a MW tree- the seat is a small 18″ seat, and might work for someone looking for a 17 1/2″ seat. 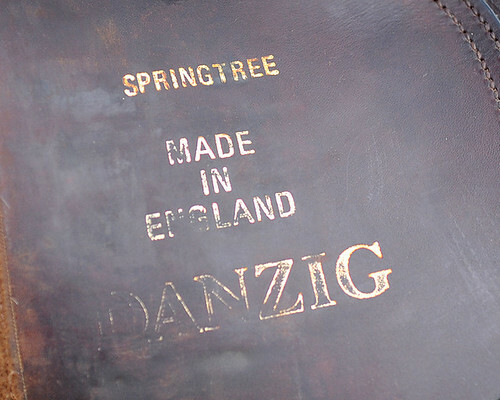 Steel & wood spring trees with strong overlapping steel head plates allow tree adjustment many times as your horse muscles and matures or if you get a different horse. 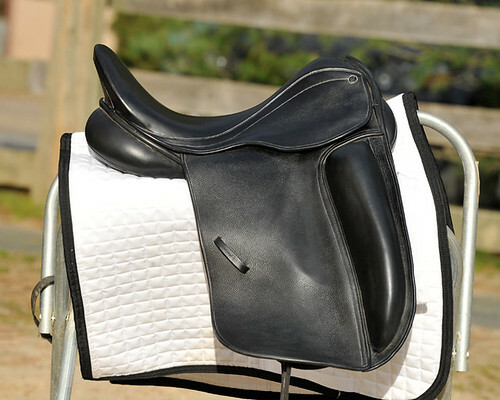 Gussetted panels with virgin wool flock stuffing allow proper fit to your horse. 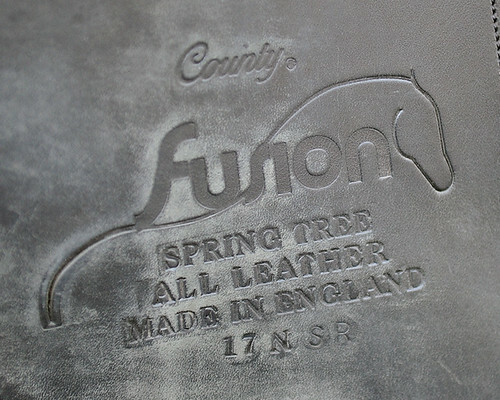 “Fired” (pre-stretched) pure linen webbing ensures that the seat never sags- you sit in a “hammock” of web and never hit the steel bars of the tree. 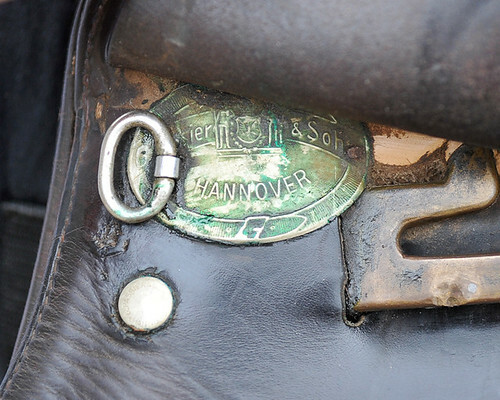 Deeply recessed stirrup bars nearly eliminate stirrup leather bulge under the skirts. 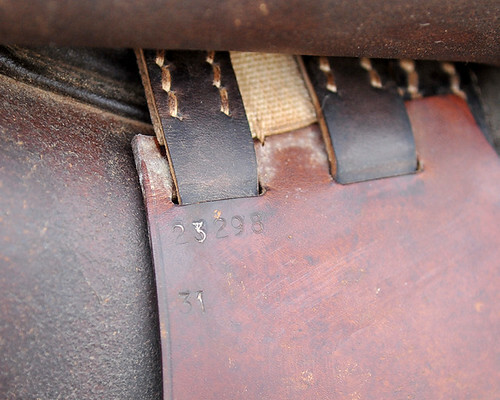 Cowhide seat, bridle leather flaps. Knee rolls and removable thigh blocks. 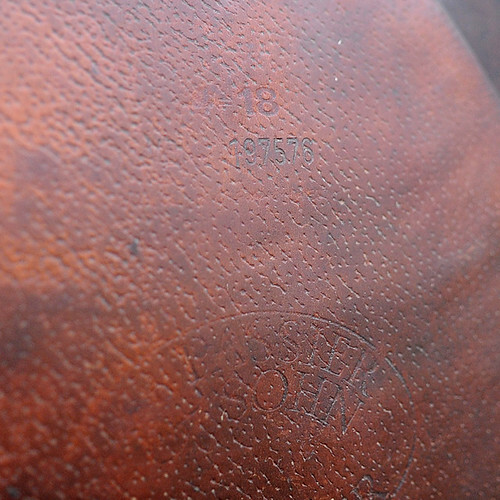 This saddle sold new for $3,000+ (click here to see it new). 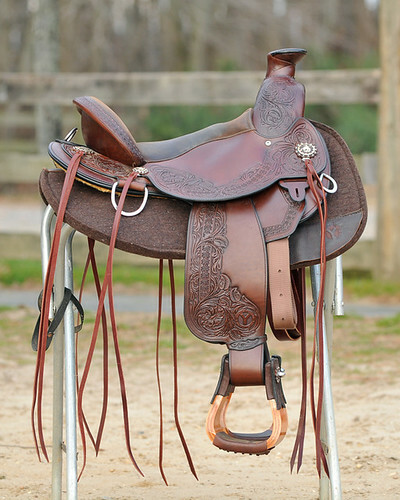 I’m selling this saddle because it does not fit my horse. SOLD! 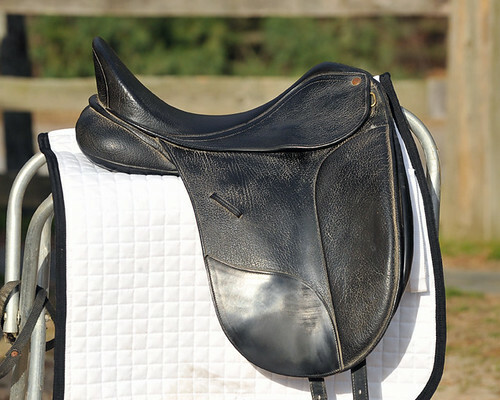 Passier AP saddle for sale SOLD! 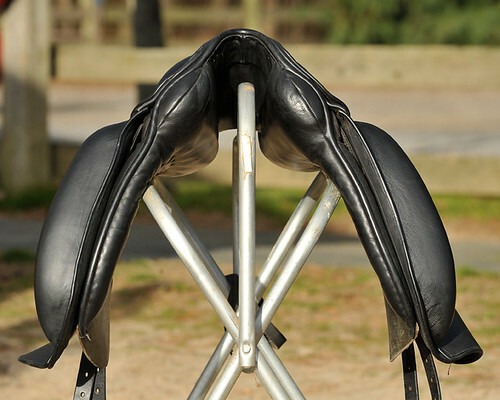 Passier VSD-type all-purpose saddle. 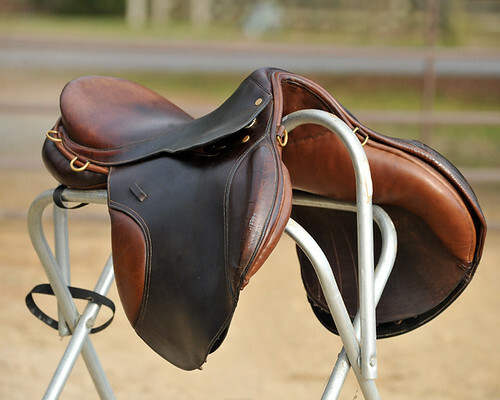 It has a deeper seat, but is also suitable for jumping. Havana color. 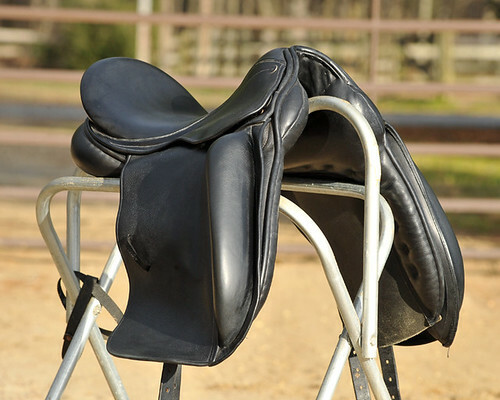 18″ seat size. Tree is wide, with nice wither clearance. $400. 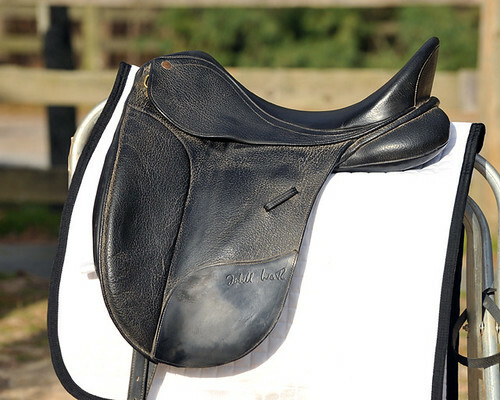 Stubben Portos AP saddle – SOLD! SOLD! 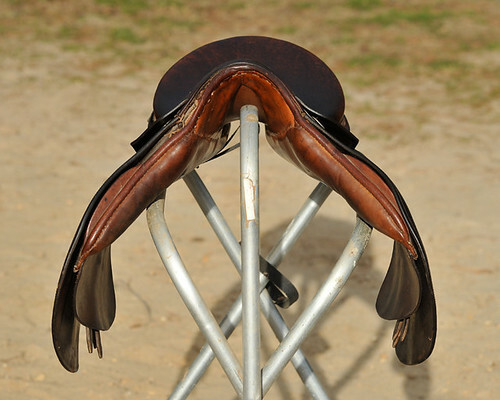 Stubben Portos (all-purpose type saddle with a fairly forward flap, making it good for jumping). 18″ seat size. Tree is 31cm, which is considered medium to medium-wide. 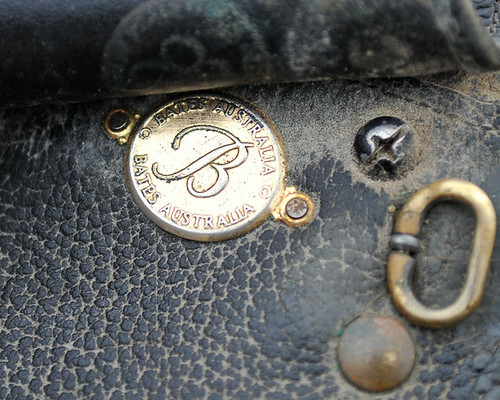 The saddle is in good condition, with typical signs of use, but needs stitch work on the front. 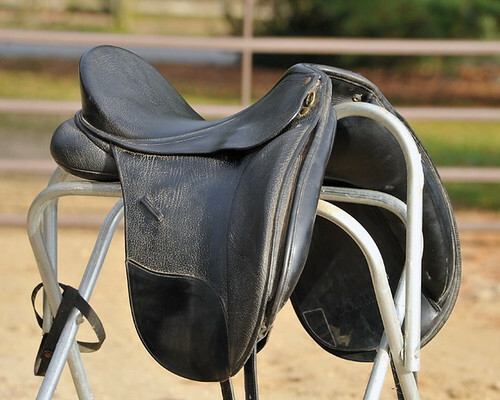 Saddle was stored in a house and lightly used by original owner, and then stored in a zipped saddle bag between rides by current owner. 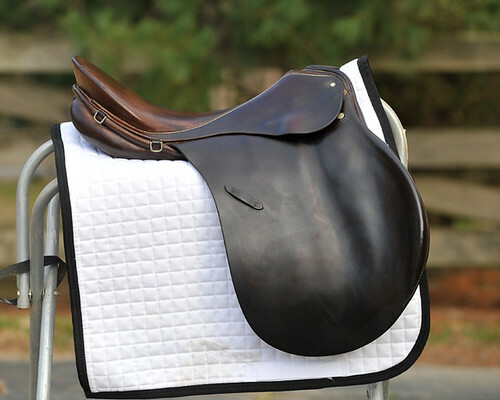 This is a very minimalist-type saddle, design-wise- there is not a lot of knee roll, padding, etc. 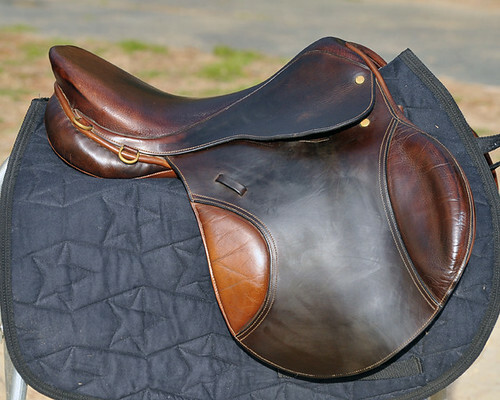 The saddle has a tiny knee roll underneath, but the flap is flat (no padding or suede or anything like that). 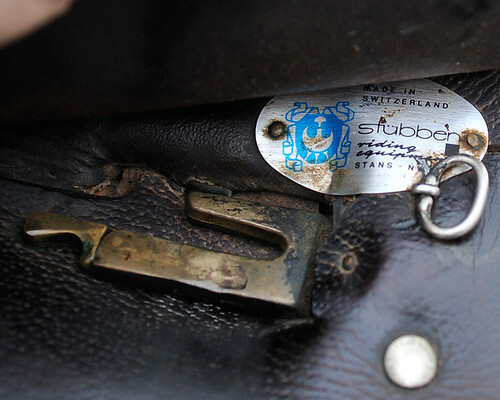 Leather is classic durable Stubben leather. 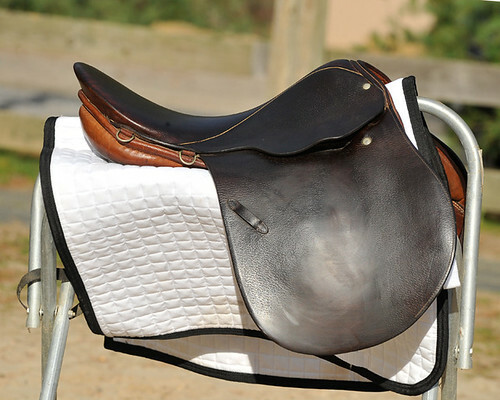 I LOVE riding in this saddle, because I like very little in my way. 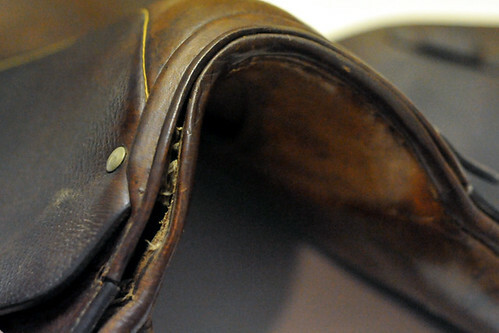 It gives a lot of freedom for the leg, but has very nice balance. I’ve ridden for hours on the trail with it, and have jumped up to 3′ very comfortably. 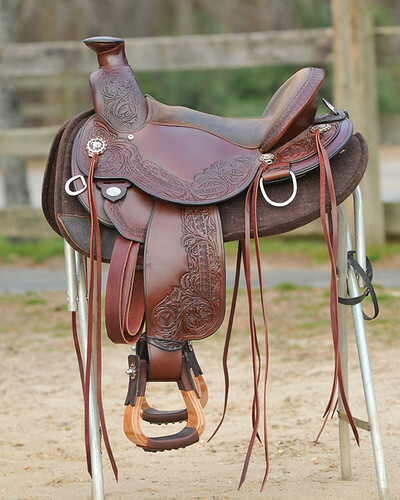 I’m selling the saddle because it does not fit my horse. Negotiable $150, plus shipping for anyone who needs it shipped. SOLD! 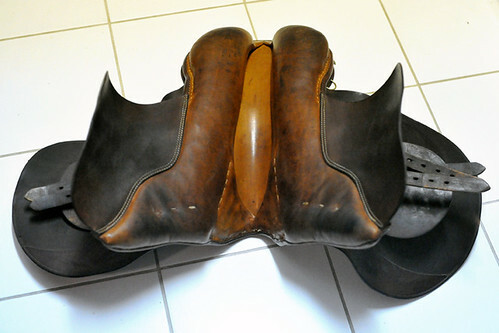 And these saddles are also for sale- my friends are selling them. $1,500 plus shipping. Located in NJ. 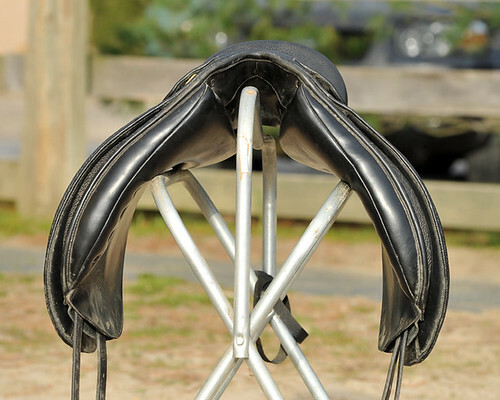 15″ seat. Wide tree. 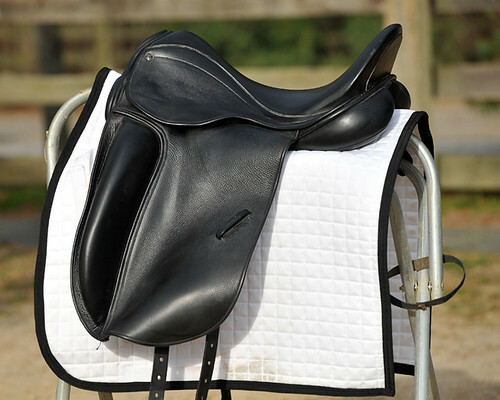 Comes with special-ordered wool pad, two cinches, quilted saddle bag, lightweight nylon saddle cover, and spare latigo. Nearly new- less than 20 hours on the saddle. Narrow tree, 17″ seat. Price to be determined. $700. 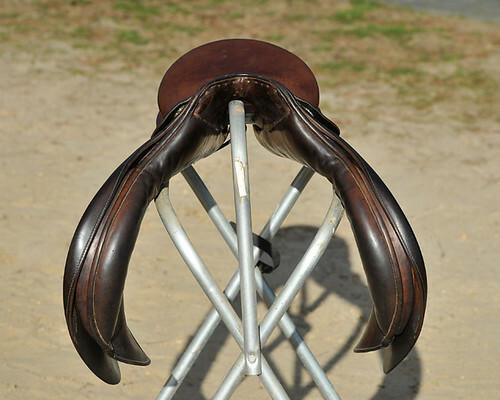 16 1/2″ seat, CAIR panels. M/W tree. is the bates still available? 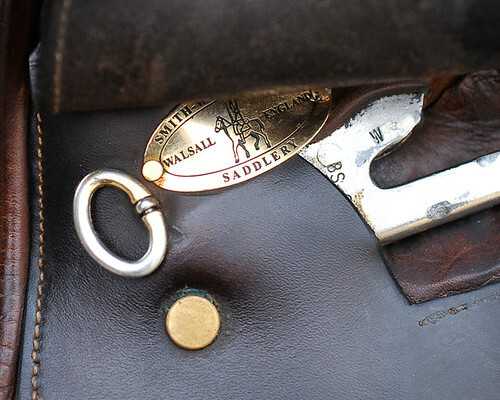 Is the circle y saddle still available? 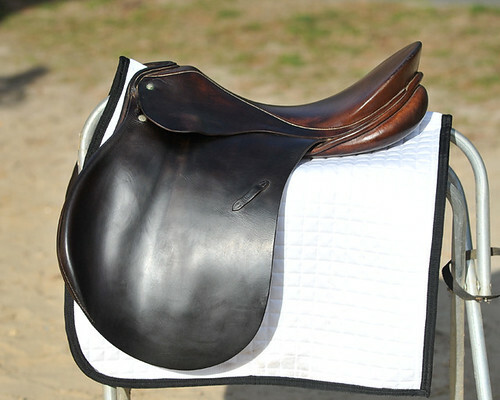 Are you interested in selling the circle y saddle. 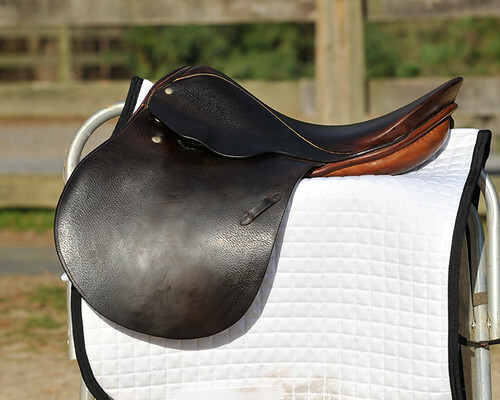 I also have a beatiful Circle Y saddle for sale if you would are interested please contact me. Lisa at joyahmia@verizon.net. is the smith and worthington still available? In case how much? is the stueben also available? 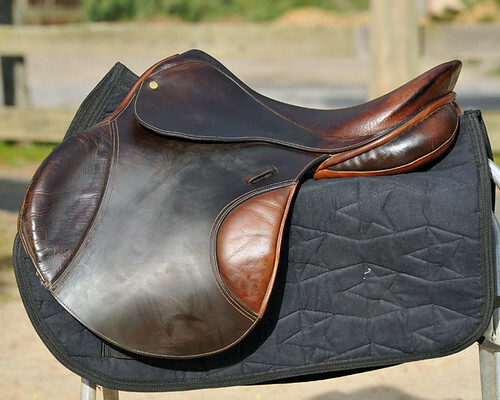 Stubben is sold- thank you for your inquiry.